Below is a preliminary sketch for the September 22nd Sally Forth. 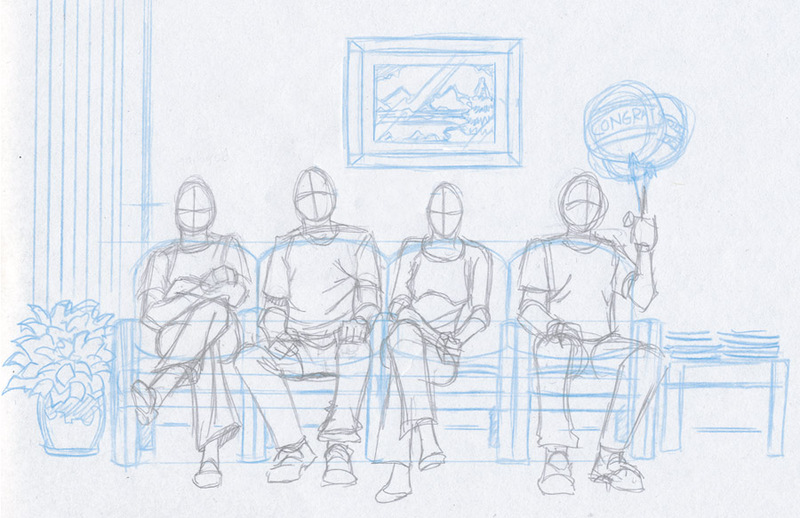 I used a blue line for the set and an hb pencil for the figures to help separate them visually while drawing. Though the backgrounds are very minimal in the finished Sunday page, it’s important that I do the prep work beforehand so the setting stays consistent for the reader. And here’s the finished inks for the drop panel. The Sunday page that follows is courtesy of Daily Ink.